FUEL YOUR DESIRE TO WIN. 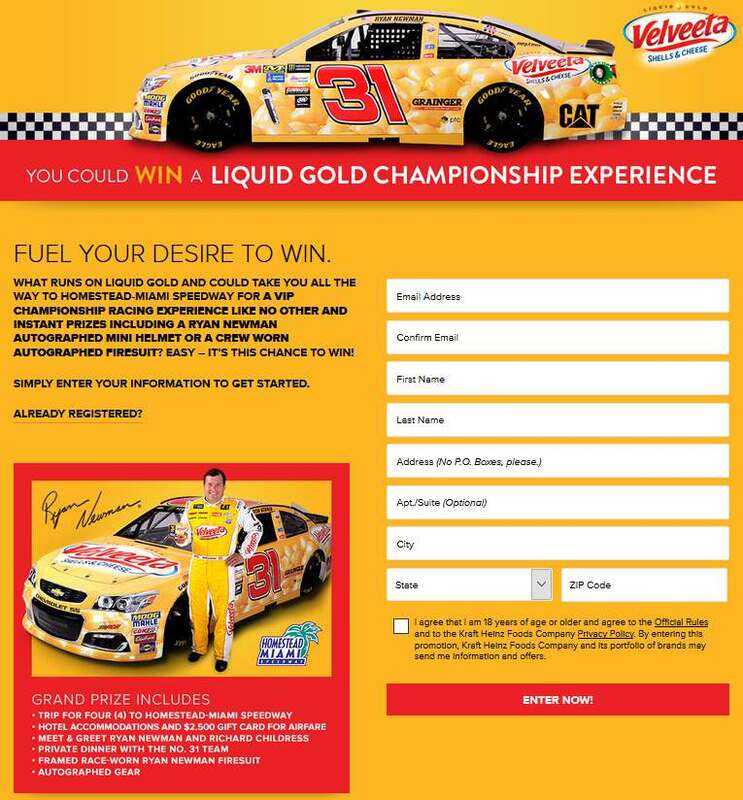 What runs on Liquid Gold and could take you all the way to Homestead-Miami Speedway for a VIP Championship Racing experience like no other AND instant prizes including a Ryan Newman Autographed Mini Helmet or a Crew Worn Autographed Firesuit? Easy – it’s this chance to WIN! Simply enter your information to get started.